Using proven, industry-standard equipment, Wineman Technology uses the best available tools in the marketplace to develop a system that is specific to your budget and needs. Whether your application requires a simple off-the-shelf controller, a complex multi-loop controller with hundreds of data acquisition channels, or a custom test system, our engineering and technical staff can deliver flexible solutions for completely redefining your dynamometer test cell. 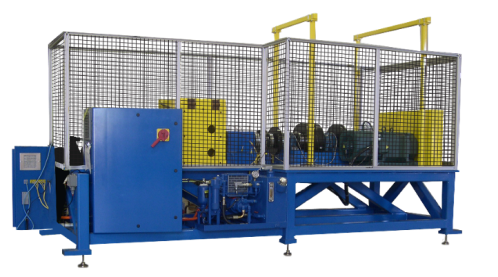 Learn about the different types of dynamometers and how they are used, and see some examples of actual dynamometers created for Wineman Technology customers. The INERTIA-based dynamometer system provides model-based control for transmission testing.